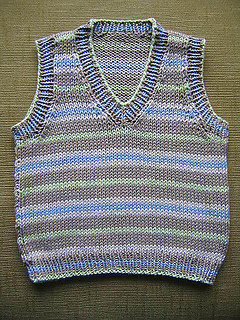 Ravelry: Striped V-Neck Pullover or Slipover Vest pattern by Sirdar Spinning Ltd.
Striped V-Neck Pullover or Slipover Vest by Sirdar Spinning Ltd. 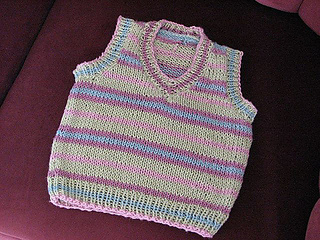 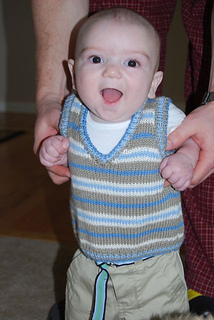 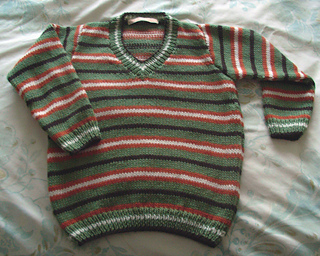 This pattern is available in Sirdar 323, Baby Bamboo Knits and as a single pattern (Sirdar #1734). 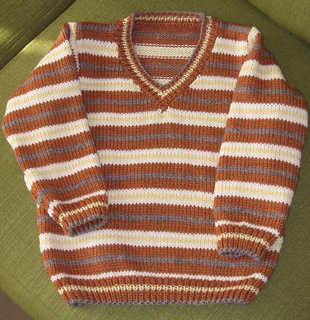 Also published in Finnish in Moda 1/2008 (malli 54 Raitaslipoveri).